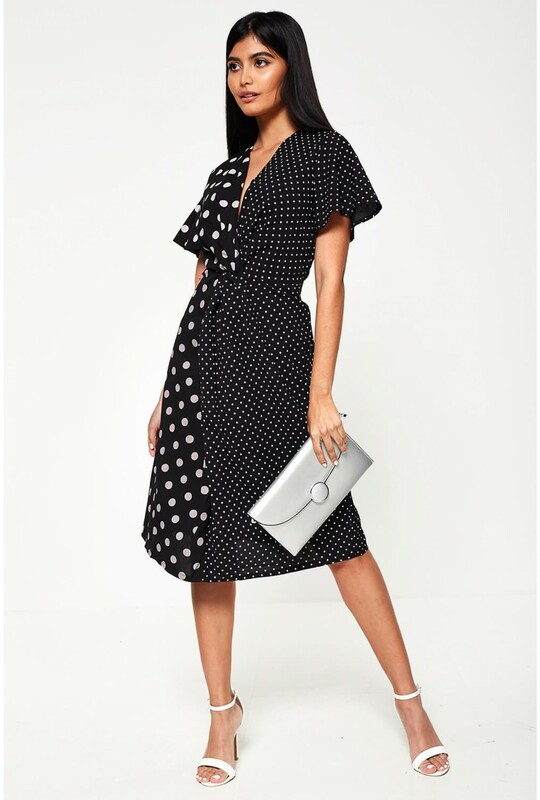 Simple yet eye-catching, this black midi dress is the perfect piece for making an entrance. 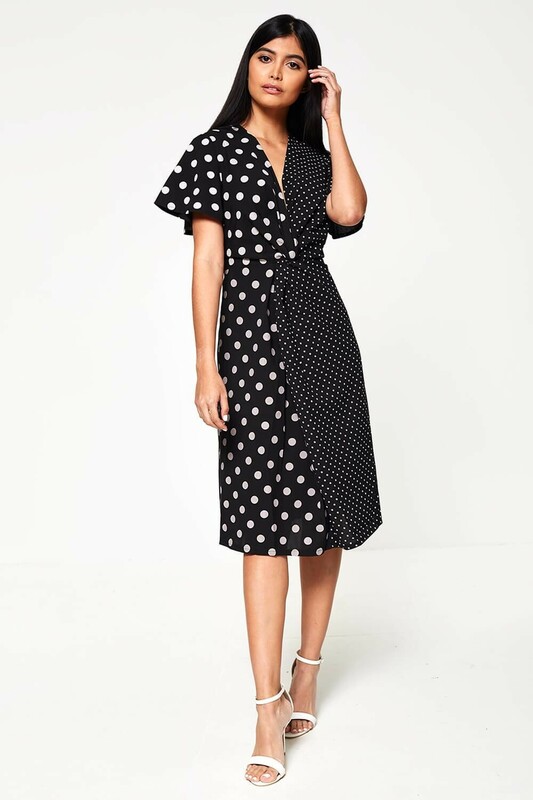 Featuring short flared sleeves, deep V neckline and contrast polka dot design. Style with barely there heels and a matching clutch bag.